New prints just released by Auckland photographer Reuben Price are truly breathtaking. 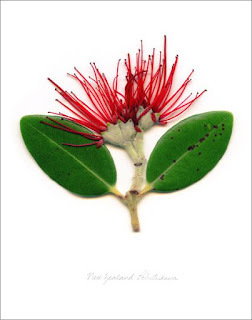 His game changing new series of "NZ Flora" art prints have an incredibly life-like three dimensional effect that is completely unlike any other photography prints currently available in New Zealand. We asked Reuben how he managed to achieve these remarkable images of New Zealand plants such as the Silver Fern, Pohutukawa and Kowhai. He told us that a custom built flower press was the first step in a long and painstaking process to create this series of artworks. Reuben then placed the plants in a completely light controlled environment of his own design so that all visible shadows were removed. The next step was to capture the detail of the subject using ultra high resolution photography. Printing the finished photograph was done by Reuben in house, the series are printed using lightfast inks and offer incredibly good value at $69.95 each. Every print from the NZ flora series is finished with a hand embossed emblem on the bottom left hand corner. This series deserves to be very popular with print buyers and we hope that the five initial prints are followed up soon with an extended range of subjects, we would love to see Kakabeak (both white and red), Kowhai flowers and the Chatham Islands Lily given the same high tech meets fine art photography treatment.